The dress LOOKS EXACTLY LIKE THE PICTURE! The dress fits PERFECTLY. I have never been so satisfied with an online purchase. I was a bit sceptical ordering such a special dress online, but after researching reviews on youtube and seeing how happy everyone else was with their orders, I took the risk. I sent in my own measurements and asked them to make it fit my height without heels (I'm having an outdoor summer wedding). The dress fits better than I imagined and is the perfect length. 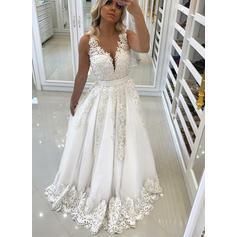 I am so happy that I found this website, because this was the exact dress I was looking for but couldn't find anywhere else. 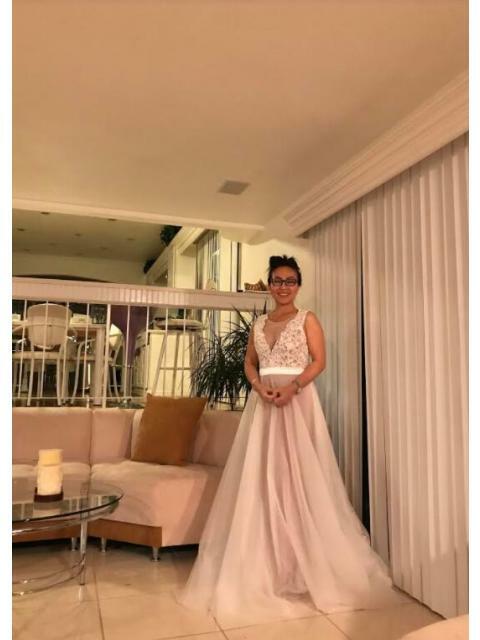 Thank you so much to the tailor who made this dress for me and my special day! I am beyond ecstatic and ready to show everyone this dress! My dress arrived today and I love it!It is beautiful, and fits well, according to the measurements that I submitted. It was completed in 2 weeks. All products that I ordered came in the delivery. 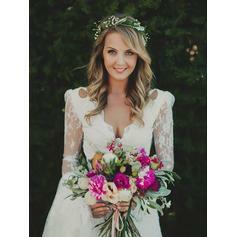 I am very satisfied with this gown and would highly recommend your store and products. 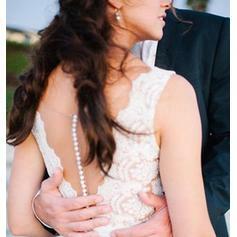 This dress is elegant and gorgeous! Got married in this dress 2 weeks ago and I do not regret buying it! It's made to the exact measurements in the site so I had to get mine altered because I'm a bit short. Spend the extra $19.99 and get yours custom made with your own measurements. It's worth it. The details are beautiful and the fit is very flattering. I loved it and so did my husband. I am so in love with the dress. AMAZING COMPANY!!! !